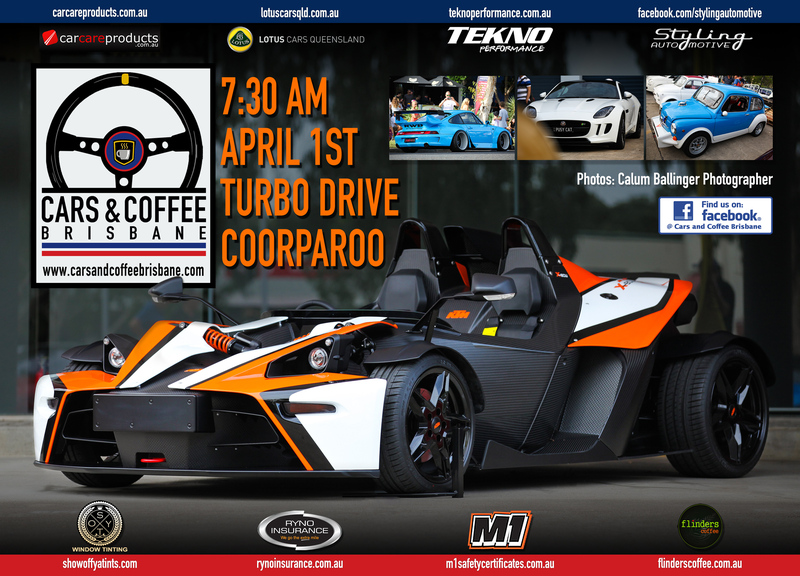 Please join us for the next Cars & Coffee Brisbane on Saturday the 1th of April. We look forward to your attendance in your rare, classic, vintage, historic, exotic or race vehicles. This month we welcome M1 Safety Certificates & Show off ya Tints to the C&C family. Also a massive thanks to Ryno Insurance Services Pty Ltd, Car Care Products, Tekno Performance, Flinders Coffee, Lotus Cars QLD &Styling Automotive for their ongoing support. The girls representing The Fred Hollows Foundation will be in attendance once again, so please show your support by making a donation. How can I get you guys to Mt Crosby Bowls Club, yes great big carpark,we are right next to The Wier Brisbane River and old Water Works Historical Brick Buildings and old Water Workers Houses, We are in Brisbane of course Brookfield, Ainstead,Before Karana Downs, We have excellent facilities and Lic Clubhouse we could offer your club at NO COST Free Barefoot Bowls use of Carpark and all Facilities free of charge, We are a Viabrant Young Committee, We Have A Spit Roast on the expansive deck @ $10 per head $5 kids and open mic along with our own musicians enjoy a glass of wine and sumptuous food. PLEASE BRING YOUR CARS TO MCB. We will take care of advertising Ect.